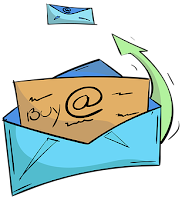 Many businesses find that email marketing remains one of their channels with the highest ROI. The most responsive of the above are, clearly, existing customers. Indeed, many marketers go one step further and claim that customers' appetite for products will usually exceed your capacity to create new ones. Subsequently, considering building a list is free, and as long as the list is correctly segmented and the appropriate message sent to each one, the conversion rates can lead to very impressive results. Email marketing is often merely described as an email message sent to a prospect with commercial intent. But that's like saying that marketing is equal to display advertising, which is patently untrue. To get an idea of just how untrue that is, I usually refer clients to Figure 1.1 in "The Marketing Book" by Michael Baker and Susan Hart which depicts the whole of marketing as an iceberg. Advertising is at the top -- it's the bits you see -- whereas the 90% that you don't see, and which is often neglected, is the true nature of marketing, whose purpose is not only to reach a market and convince them to buy but also to understand that market, related markets, the customer's needs and products that can be presented to them. So, if you're using email marketing just to send a coupon out (Advertising, Promotion & Public Relations in The Marketing Iceberg) then you're doing it wrong. a way to conduct Market & Customer Needs Research. Each type of list (customer, prospect, etc.) has its use: there is no point, for example, trying to elicit feedback about a commercial product that you know the list recipients could not have bought because they are on a prospects and not a buyers list. So, where does keyword research come into the equation? The first thing to remember is that different list segments will react to different messages. A buyer probably doesn't need a lot of encouragement to buy again; they just need you to offer them a credible product that is related to something they have already bought. And if you're doing your strategic keyword management properly, you'll already know where their pain/passion points are. Prospects, on the other hand, need to make that first decision to buy with you: and that's usually a decision that they make with their gut and then justify with logic. It needs to feel right: so the emotive trigger words come into play. Not only do you need to participate in a conversation that they are already having outside of your relationship (again, keyword research will throw up these conversations) but you need to push their buttons to drive them to take action. Of course, you can also use email marketing to elicit reaction (market research), test new product ideas (free downloads in return for market research) and develop a relationship with new markets (referral and affiliate marketing). However, each interaction needs to come with a healthy dollop of keyword research, as this is the only real way you can be sure that you are communicating with the target market. That communication underpins the key benefit: contact. 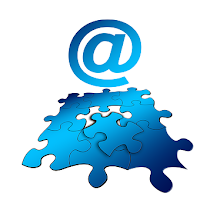 Every email is contact with the target market, existing market, or to use a more current term, your tribe. Each time you make contact with your tribe, you build confidence. As confidence in you and your leadership of the tribe grows, so does the trust between you, and your influence within the tribe. Using keyword research effectively shows that you understand your tribe: you speak to them using words they have either used themselves, or that make perfect sense to them. When combined with well-known trigger words (Richard Bayan's Words that Sell has a good list), your message will become very difficult to refuse. To get started, check out the Keyword Research Tutorials or take The Keyword Coach for a test drive with one of the low cost keyword research services. Remember: there's gold in those hills, and you can learn how to mine it!